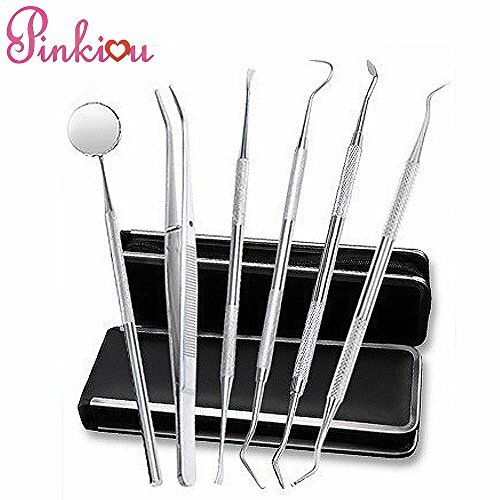 DENTISTS TOOLS MAKE YOU SMILE CONFIDENTLY. 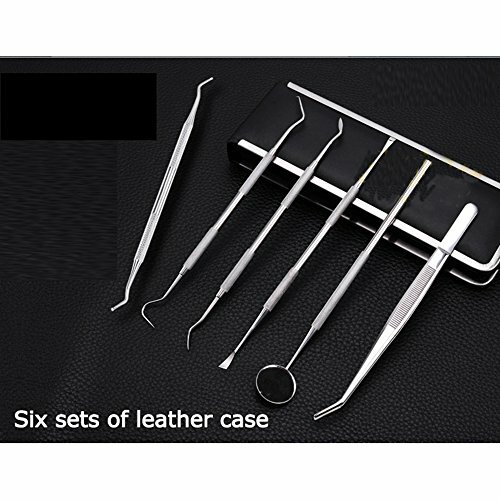 This dentist kit tools included 6 essential tools to keep your Oral Hygiene in top Shape! 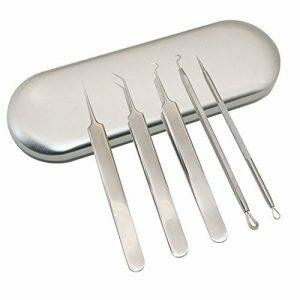 Each tool is carefully crafted with high quality surgical grade stainless steel unlike other cheap alternatives on the market that rust easily and often. 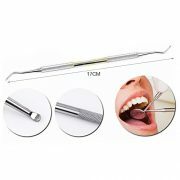 Best choice to clean teeth and care gum! PLAQUE AND TARTAR REMOVER – Plaque is made up of invisible masses of harmful germs that live in the mouth and stick to the teeth along the gum line. 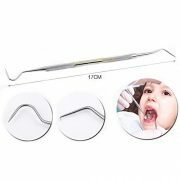 Some types of plaque can cause tooth decay & cavities. Other types of plaque can cause gum disease. Tartar is calcified or hardened plaque that attaches to the enamel on your teeth and below the gum line. 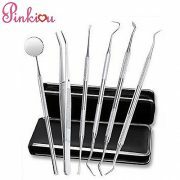 Using this Hygiene Kit regularly can prevent ingrowth of plaque and tartar. 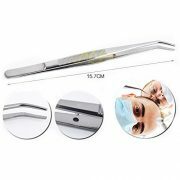 Probe, Marterial:stainless steel,Size:17cm,Weight:16.6g,Features:Used to detect the extent of tooth defects, depth and hardness, check the feeling of tooth tissue, found sensitive points and perforation of the hole,also can replace the ordinary toothpick use. 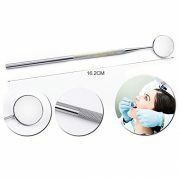 Mouth Mirror,Marterial:stainless steel,Size:16.2cm,Weight:21.1g,Features:Can be a good observation of the teeth directly when the mirror can not see the place, handle can also be used for percussion. 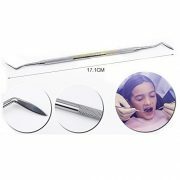 Tweezers,Marterial:stainless steel,Size:15.7cm,Weight:25.6g,Features:Used to hold the crown to determine the degree of loose teeth, folder to the mouth of foreign body, tooth card food can also be used to help her out. 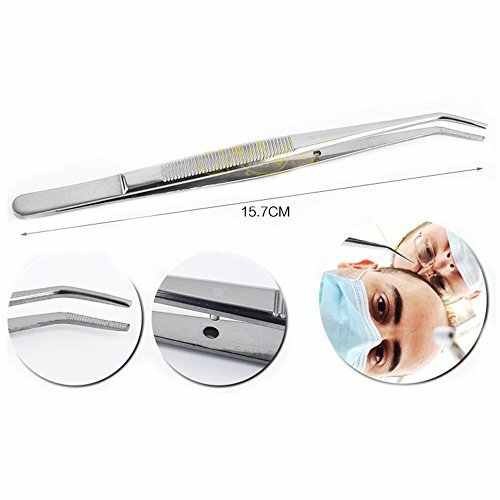 Sickle Cleaners,Marterial:stainless steel,Size:17.1cm,Weight:16.6g,Features:The working edge of the shape of the sickle, the use of the effective edge of the sickle at both ends of the two sides of the edge, suitable for scraping teeth teeth, the smaller tip can be inserted into the periodontal pocket, scraping the potential subgingival calculus. 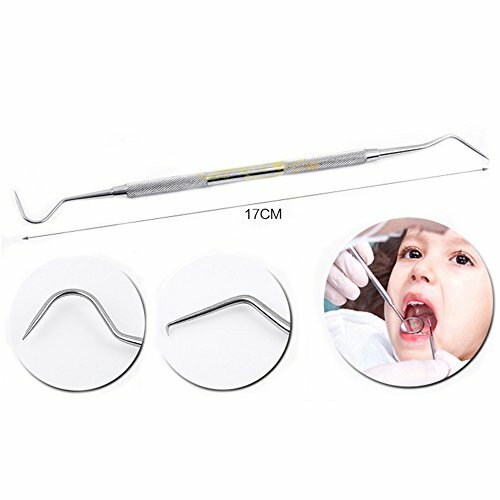 Hoe-shaped Cleaners,Marterial:stainless steel,Size:17cm,Weight:16.2g,Features:The shape of the work side, such as hoe, left and right pairs, the edge of the edge into an acute angle, the use of acute angle on the calculus in the gingival sulcus, curettage gums. TO BE A PROFESSIONALIST AT HOME. 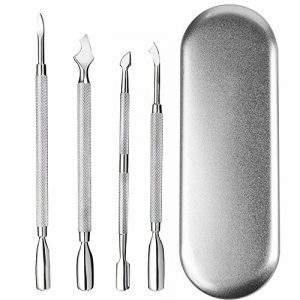 This dentist tools set contains Stainless Steel Anti-Fog Dental Mirror (Mouth Mirror), Dental Pick / Dental Explorer / Dental Probe (Metal toothpick), Tweezer (College Tweezers), Sickle Scaler and Dental Tartar Scaler / Scraper or Tartar Remover. 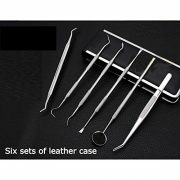 These dental instruments come with a FREE Protective Travel Case to keep your dental cleaning tools secure at all times.